As time has gone by, the food scene in Liverpool has grown into something truly wonderful. 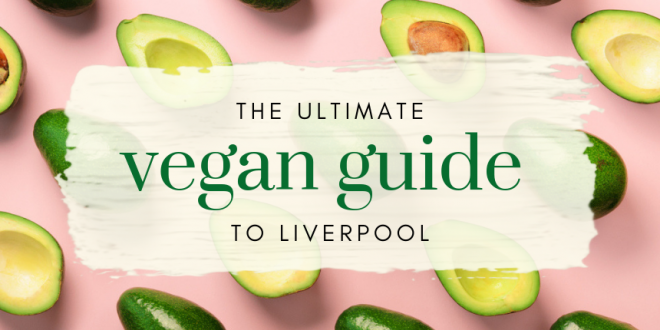 Alongside this, the number of places offering amazing vegan food that doesn’t compromise on taste has been multiplying rapidly to accommodate the fast-changing eating habits of Liverpool’s inhabitants! We’ve compiled a list of the best places to grab yourself some fantastic vegan food in Liverpool. Casual, simple and easy veggie food is at the heart of what The Egg is all about. They’ve got vegan items clearly marked on the menu, and their portion sizes are huge! Great value for money if you’re looking for a hearty veggie meal. The best thing about this dive bar on Smithdown road – asides from their huge selection of craft beers – is the fully vegan menu. Seitan burgers, nachos, fries and more are all on offer as well as a big vegan breakkie from 12pm-3pm on weekends. CAN Waterloo is the first plastic-free, plant-based restaurant in Merseyside. It’s a family run business, with husband and wife Ryan and Louise manning the fort. They set the place up after finding there was a distinct lack of businesses in the area who catered to a vegan, plastic-free lifestyle. They work with the best local vegan chefs and suppliers to bring their customers dishes like vegan ‘Fried Chicken’ sandwiches from Peaberry Coffeehouse as well as vegan Savoury Pies by The Gluten-Free Pie Company. It wouldn’t be a vegan guide to Liverpool without veggie-junk food pioneers Down the Hatch. They’ve got a fully vegan menu that will make all of your veggie junk dreams come true. Highlights include their vegan Doner Kebab, Buffalo Cauliflower Hot ‘Wings’ and even vegan Tiramisu. To be honest, the whole menu is a highlight. Once Maguire’s Pizza Bar, this humble pizzeria offers vegetarian food that can all be made vegan. They host weekly quiz and music events and are a great choice if you’re looking for something vegan to nibble on whilst socialising with friends. After turning fully vegan in September 2017, The Caledonia has gone from strength to strength. Serving vegan alcohol and food, highlights include their vegan Burgers, ‘Chicken’ Wings and Hot Dogs. Worth a visit! You may not associate the Vietnamese chain with vegan grub but trust us – there’s plenty of it! Try the Vegetable Summer Rolls, Spicy Soup with Tofu and Mushroom and a refreshing mix of veggie and fruit juices. This not-for-profit vegan café opens once a week on Saturday afternoons. Social dining and community are at the epicentre of what makes this place so special. It’s based in the basement of fantastic bookshop News from Nowhere, and the menu suggests donations, not prices. Here you can grab yourself some sustainable food whilst you pay towards a good cause. Although they serve meat and dairy, Salt House Tapas have an entirely separate vegan menu. You can keep it traditional with Padron Peppers and Patatas Bravas or go for something a bit more out there like the Gnocchi with Chimichurri sauce and Courgettes. Truly delicious. When it comes to plant-based roast dinners, Indigo Greens have it covered! They also serve a wide variety of vegan meals, meal prep delivery, detox smoothies and so much more. Considering how good their food is, it’s very reasonably priced. It’s cosy & casual, with a great atmosphere and fantastic food. Walk into either one of the Mowgli restaurants and you’ll be able to smell why people rave about this place. Their freshly cooked, homegrown Indian street food offering is impressive, and their separate vegan menu features some real showstoppers. The Holy Chow is tasty and filling, featuring a heady chickpea and potato curry served in a hollowed loaf of bread. Get some Rhubarb Dahl and Calcutta Tangled Greens on the side and you’ll be on to a winner! We recommend heading to Sanskruti on a Tuesday or Wednesday for some delicious vegan Thali. It’s a large platter which plays host to a wide variety of starters, mains, sides and desserts with the dishes changing each week. Their Jackfruit Curry is also a dish that should be on your list to try – it fools most meat eaters! It’s all cooked to order and rivals Mowgli in the battle for the best Indian restaurant in town. This excellent little vegan burger joint was opened by Monami Frost in November 2018. Well known within the vegan community, Frost has managed to recreate the nostalgic taste of old school cheeseburgers within her petite diner down on Wood St. They have a simple but effective menu containing classic junk food fodder like Chicken-Free Chicken Burgers & Nuggets and even a vegan version of the Filet of Fish! 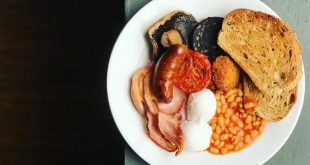 Woolton’s growing collection of eateries and bars includes The Old Hardware Shop, an all-vegan café that serves great Breakfasts, Hot Dogs, Toasties, “Meatball” Subs and more! Finish your meal off with a tasty vegan cake, or even a vegan scone. If you’ve not seen the famous Maray Cauliflower, then where have you been?! Their creative cuisine has been feeding hungry diners of Liverpool for a good few years now, and they’ve got a separate menu dedicated solely to vegan dishes. Their seasonal menu changes occasionally throughout the year, with dishes like Hummus & Green Chilli Fries, Broccoli with Dukkah and Carrot Cardamom Baklava stealing the show. Move over, Dominoes – Home Slice Pizza is here. You can create your own 100% plant-based pizza with an abundance of toppings and tasty vegan cheese. Either dine inside the impressive Grand Central Food Bazaar or order to the comfort of your own home. A little slice of Parisian chic, Polidor 68 is a wine bar & bistro that serves some really lovely vegan dishes amongst its full menu. Our favourites include their Wild Mushrooms on Toast, Red Onion Bhaji Burger and the Harissa Gnocchi. Veggie Republic is a fine example that making everyday classics planet and animal-friendly is easy as pie. It’s a diverse, fresh menu that is reasonably priced and sure to make even your meat-eating friends happy on your next meal out. Their ‘SLT’ sandwich is good enough to fool even the most experienced of carnivores. This unsuspecting veggie and vegan-friendly café is nestled in the basement of vintage clothing store Soho’s. The grub is simple, effective and hearty and sure to make your belly happy after a long day shopping down Bold St and Liverpool ONE. Belzan states on their website that whether they’re “creating new dishes, mixing drinks or choosing guest coffees, people and produce are at the heart of everything [they] do.” They’re not wrong! This super stylish, laid back bistro on Smithdown Road serves up some of the most delicious food in the area. They’ve great veggie and vegan options, and due to their seasonal approach, the menu changes frequently. Whether you’re a full-blown vegan, veggie or even a flexitarian, there’s always some cruelty-free cuisine to treat yourself to when dining in Liverpool. Have any suggestions of your own? Let us know on our Facebook page!